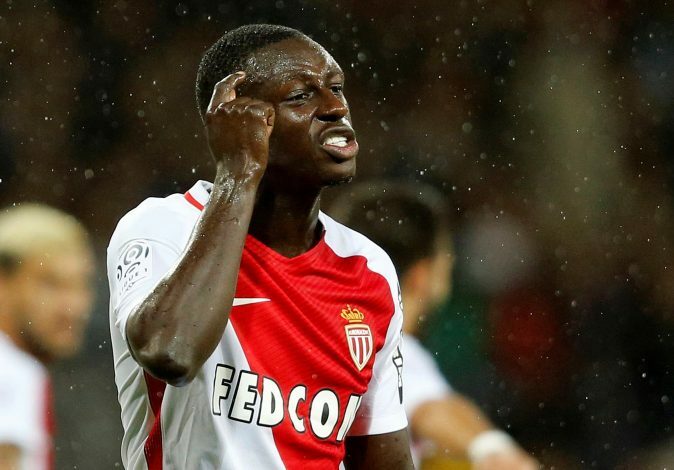 Premier League giants are all set to battle it out for Monaco defender Benjamin Mendy, according to Sky Sports. Benjamin Mendy left Marseille to join Monaco in a £13m deal last summer, and has since been in terrific form for the Ligue 1 outfit. The young left-back has already made 28 appearances in all competitions this season, and his top-level performances, especially in the UEFA Champions League, have definitely impressed one and all. Mendy’s displays so far this term not only earned him his first international call-up for France in March, but have also attracted the interest of numerous top clubs from all across the continent, including English powerhouses Chelsea, Manchester City, and Manchester United. Blues boss Antonio Conte is believed to be in the hunt for the 22-year-old’s services, as the Italian looks to strengthen his squad to prepare for next season’s UEFA Champions League campaign. Meanwhile, Pep Guardiola has been on the lookout for a defender that challenges current City man Gael Clichy at left-back, and has therefore identified Mendy as one of his potential targets. Jose Mourinho, on the other hand, is still unsure as to whether Luke Shaw can match the his required standards and make the left-back position at Old Trafford his own. However, if the Englishman fails to deliver, United are prepared to splash the cash in order to sign Mendy up. It remains to be seen whether the Frenchman does end up leaving Monaco in the upcoming summer transfer window, given the fact that his club is, at present, very much in the midst of competing for the Ligue 1 title as well as European glory. Monaco currently sit atop the league table with a 3-point lead, and are also set to take on Borussia Dortmund in the UCL quarterfinals on Tuesday night. However, Mendy, who has bagged the highest number of assists for a defender in the competition, may miss the crucial game due to a hip injury.